400ft of lake frontage designed for entertainment. Main house w/5 bedrooms-one a separated guest quarters w/private entry. Wine room, bar, media room, 2 story study w/7car garage. 2nd space connected by a porte-coch xE8;re w/full theater room, billiards room, game room, work room/study & climate controlled garage for full size bus or 9 add’l cars, is also an indoor basketball court. 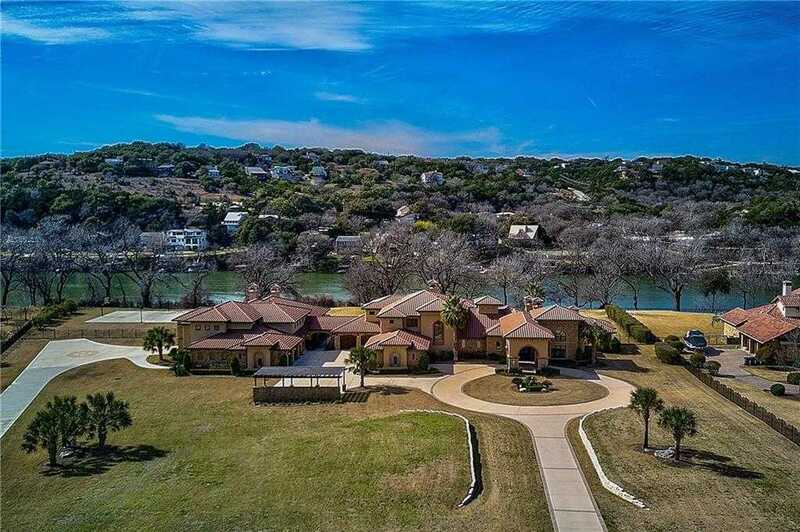 Backyard w/pool overlooks Lake Austin w/sport & volleyball courts. Oversized 2 slip boat dock w/lifts & Touchless covers. Please, send me more information on this property: MLS# 4972975 – $4,500,000 – 14300 Flat Top Ranch Rd, Austin, TX 78732. I would like to schedule a private showing for this property: MLS# 4972975 – $4,500,000 – 14300 Flat Top Ranch Rd, Austin, TX 78732.